Despite poor air quality from the Woolsey and Hill fires, thousands of farmworkers continued to workin the strawberry fields of Southern California. Many of these workers do not speak English – some only speak Aztecan languages – and are unable to communicate with their supervisors or understand safety warnings. Even when Ventura County closed schools and declared a health emergency, people were photographed still picking in the fields. Some companies did not distribute masks, and many workers complained they had difficulty breathing and had headaches and eye and throat irritation even after they were out of the fields. These low-wage workers cannot afford to miss a day of income or risk losing their jobs. The CDBG-DR Draft Action Plan (English version, Spanish version) for the 2017 California wildfires was published on November 12. The comment period for the draft will close at midnight on December 12. Round 2 of public meetings to discuss the Draft Action Plan for Disaster Recovery will take place from November 26 through December 5. For specific dates and times of the public meetings, click here(Spanish version). FEMA published a fact sheet with information on the various forms of temporary housing assistance available to survivors of Hurricane Michael in Florida. It also states that the state of Florida and FEMA have approved several specific forms of Direct Temporary Housing: RVs for those with a housing need of six months or less; manufactured housing units (MHUs) for a longer-term solution; and multi-family lease and repair, whereby FEMA works with owners to make improvements to existing multi-family housing and provide short-term lodging for survivors. FEMA reports it has completed nearly 62,000 home inspections, and more than 21,000 homeowners and renters have received some form of housing assistance. More than 900 families are staying in hotels and motels through the Transitional Sheltering Assistance (TSA) program. DHRC partners on the ground in Florida continue to report a serious lack of temporary housing options for survivors displaced from their homes. A Recover Bay County update reports that state and FEMA officials told county officials that approximately “2,500 trailers are being staged at the airport in Marianna, FL, and the first deliveries are to begin by November 18 to approved sites.” FEMA continues to look for staging sites for trailers, and the county is working with the agency to clear sites of debris. Families living in these units may be responsible for utility costs, although individual contracts vary. Although 53,935 families in Bay County have applied for disaster assistance, FEMA states that only 912 of them need housing support. As of the time this Memo was published, Florida Governor Rick Scott has not published disaster updates with additional information since November 7. A month after Hurricane Michael hit, residents of the Florida Panhandle still experience frequent power outages, spotty cell and internet service, and unsafe living conditions. Local residents have stepped up to provide needed resources like storage, school supplies, and food. The Jackson County chapter of the NAACP is working with residents of two housing developments near Marianna, FL – Orchard Pointe and Pebble Hill Estates. Management sent a letter to residents ordering them to leave the properties for repairs following Hurricane Michael. The letter did not include any promise that tenants would be able to return. NAACP lawyers noted that the landlords did not follow proper eviction laws, and the attorneys are attempting to ensure residents receive proper assistance. FEMA is hiring Georgia residents to work on the hurricane recovery effort. Contracts are for a term of 120 days with the possibility of extension. A special legislative session has convened to discuss recovery efforts in Georgia following Hurricane Michael. The legislature will discuss providing emergency funding for state agencies and local governments and other recovery and rebuilding efforts. The special session started on November 13. Residents of southwest Georgia are still living in hotels and waiting for assistance to repair their homes. President Trump approved a major disaster declaration for Alabama related to Hurricane Michael (DR-4406). The declaration covers four counties, but only for public assistance. Senator Doug Jones (D-AL) sent a letter to President Trump on November 8 urging the administration to also approve Individual Assistance grants. FEMA advises impacted renters with a continued need for FEMA rental assistance that they can complete a “Declaration of Continuing Need for Rental Assistance” to receive additional financial support. All eligible survivors should have received this document, but they can contact the disaster assistance helpline (800-621-3362) with questions or requests for an additional copy. FEMA published an FAQ on Direct Housing for households impacted by Hurricane Florence in North Carolina. The document provides information about the timeline and process for receiving a temporary housing unit. An additional fact sheet encourages displaced residents to use any FEMA funds to pay for temporary shelter, like a hotel or motel room. Survivors should save receipts to ensure they can be reimbursed. The North Carolina Department of Public Safety (NCDPS) reports that 391 households are checked into hotels through FEMA’s TSA program and 21 people remain in two shelters. NCDPS also reports that 132,681 people have applied for disaster assistance, and FEMA has completed 96,666 home inspections. Undocumented farmworkers in North Carolina continue to struggle and live in fear following Hurricane Florence. Many people remain afraid to ask for help, so measuring the number of undocumented residents who lack housing or food is difficult. Community leaders are working to ensure these families have stable housing as they learn of households living with toxic levels of mold or leaking roofs. A dedicated HUD employee is ensuring that people staying in a shelter in New Bern have new homes before the shelter closes. FEMA has extended the deadline to register for disaster assistance to December 5. 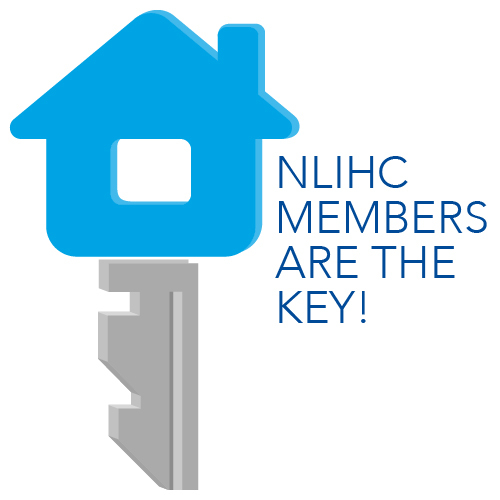 NLIHC – on behalf of the DHRC – recently submitted comments to the State of Florida regarding the amendment to the State Action Plan for Hurricane Irma. The Community Justice Project is collecting all submitted comments here. A City & State New York article details the outcomes of the Empire State Relief and Recovery Effort, led by New York Governor Andrew Cuomo to support evacuees from Puerto Rico displaced by Hurricane Maria. These relief efforts included $1 million to provide survivors affordable housing and another $10 million for job training and placement. The Huffington Post published an article about the challenges faced by low income renters following a disaster. The article explains how disasters repeatedly create or exacerbate housing shortages with many low income renters falling through the cracks. A local New York news outlet, Pix11, featured a story about 65-year-old Rosa Rodriguez, a survivor of Hurricane Maria who was displaced to New York City and is now homeless. A study titled The Unequal Vulnerability of Communities of Color to Wildfire was published in the journal PLoS One on November 2. Using a social-ecological perspective of fire-prone landscapes, the researchers found that “census tracts that were majority Black, Hispanic or Native American [experienced an approximately] 50% greater vulnerability to wildfire compared to other census tracts.” The study was cited in a New York Times article.